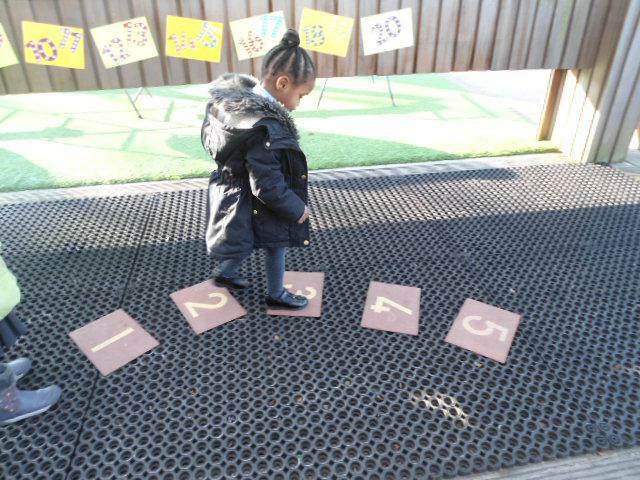 In the Early Years Foundation Stage, we provide opportunities for all children to develop their understanding of number, measurement, pattern, shape and space by offering a wide range of practical situations within which they can explore, discuss and solve problems. Children enjoy mathematics both indoors and outdoors. 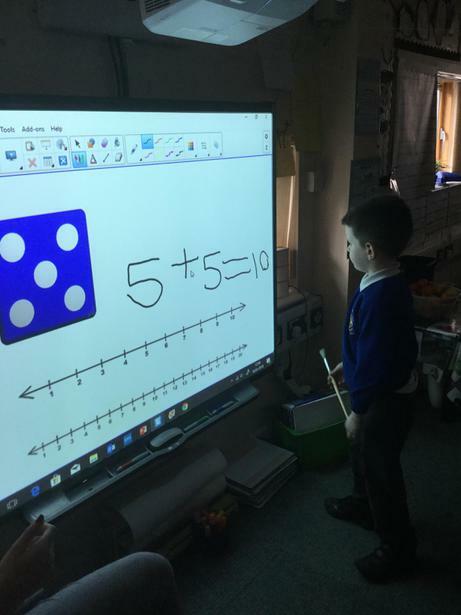 In Nursery and Reception the teachers teach a maths session daily which is then followed by purposeful and well planned mathematical activities. Within this, staff provide weekly ‘maths challenges’ that encourage children to think creatively and critically about number, measurement, pattern, shape and space. The use of mathematical vocabulary is very important. 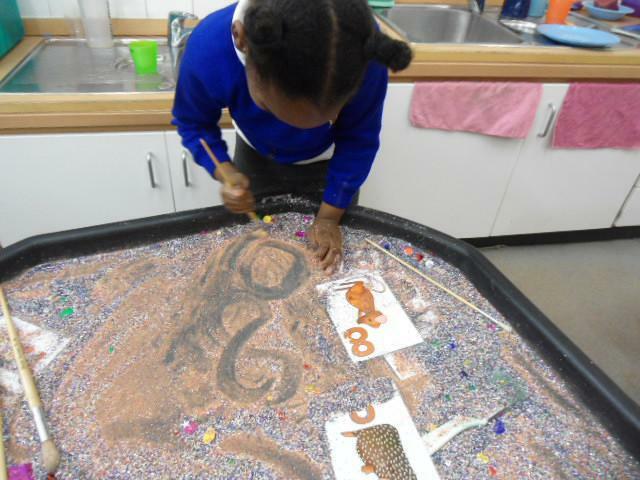 In Nursery we encourage the children to use the language of quantities such as, ‘more’ and ‘a lot’. 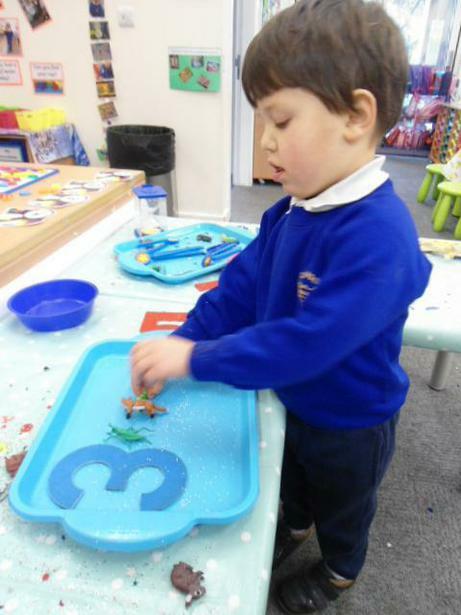 The children learn how to use number names accurately in their play and use words such as, ‘big’ and ‘little’. We talk about the immediate past and future by using the words, ‘before’, ‘later’ or ‘soon’. 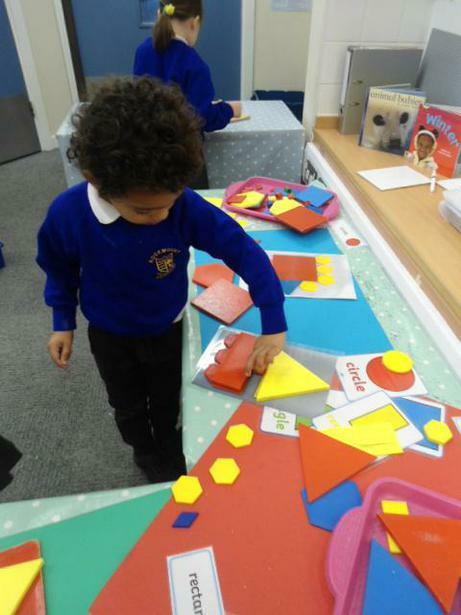 The children learn to recognise a square, triangle and circle, beginning to describe them by saying, ‘round’ or ‘straight’. We also use positional language such as, ‘under’ and ‘next to’. In Reception, the children will learn the number names from one to twenty and say which number is ‘one more’ or ‘one less’. They will use the language of ‘more’, ‘fewer’, ‘add’ and ‘take away’. The children will learn the names of some 3D shapes including, a cube and cylinder. They will also be able to distinguish between ‘heavy’ and ‘light’ when holding two objects as well as ‘full’ or ‘empty’. 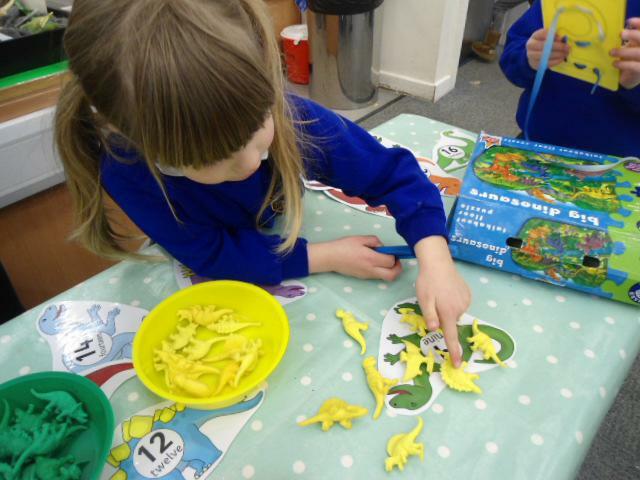 The positional language used in Reception are words such as, ‘behind’, ‘on’, ‘in’ or ‘through’. When buying things in play, the children will be able to use the vocabulary of money, using the words, ‘pound’ and ‘pence’. When talking about the past and future, the children will be able to talk about ‘yesterday’, ‘tomorrow’ and ‘today’. · when counting everyday objects ask how many would you have if you had one more/less? Can you double that number?